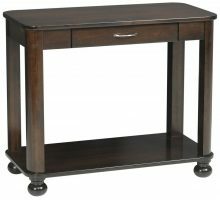 Sofa tables are versatile additions to a living room. 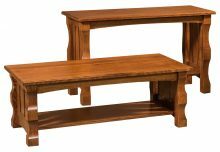 As the name implies, they’re the perfect height to place behind a sofa, where they offer convenient storage while making your living room seem less one-sided. 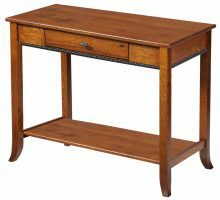 AmishOutletStore.com carries several attractive models that look great and fit in seamlessly with any décor. 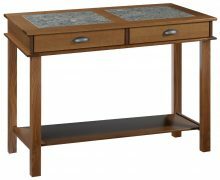 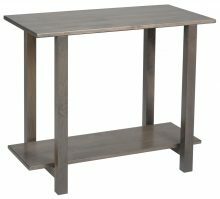 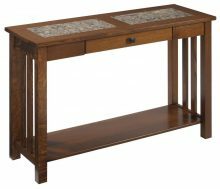 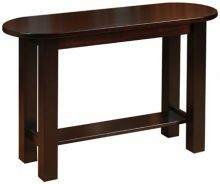 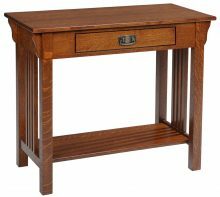 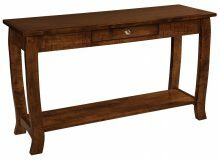 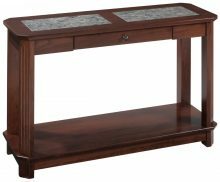 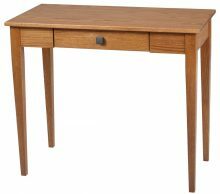 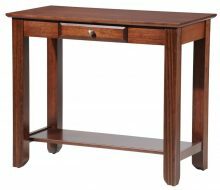 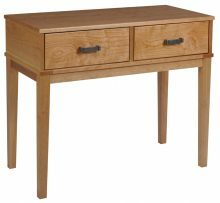 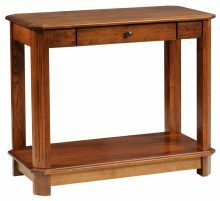 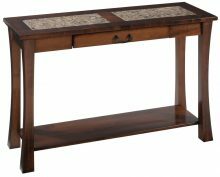 The most important consideration when choosing a sofa table is making sure it works with your existing furniture. 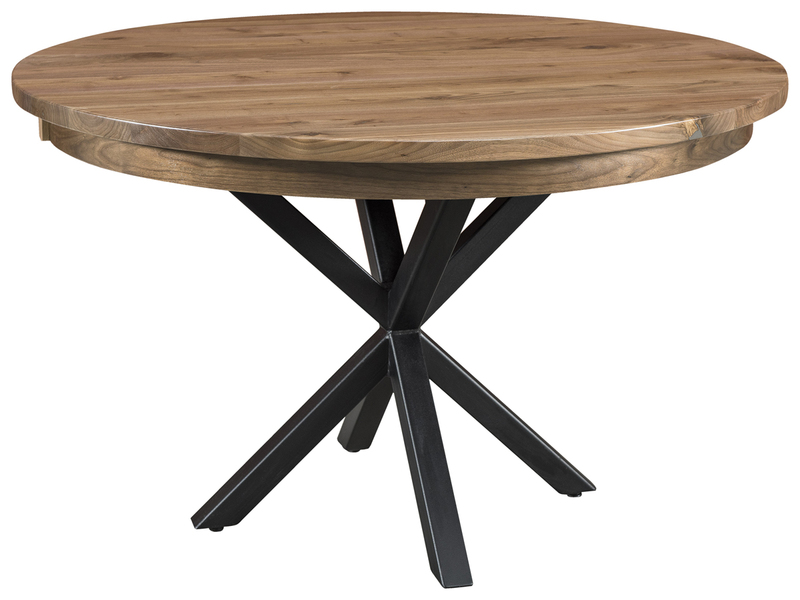 A table with a radically different style or color scheme will stand out — and not in a good way. 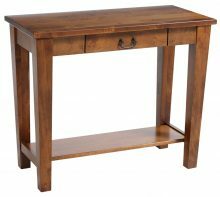 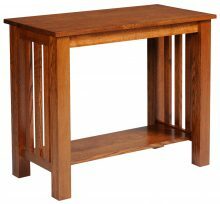 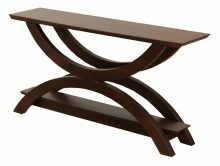 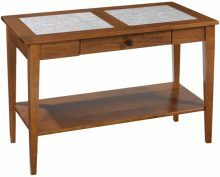 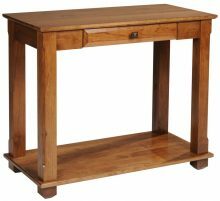 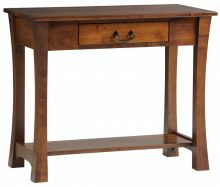 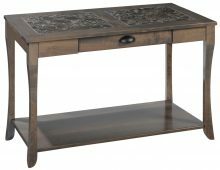 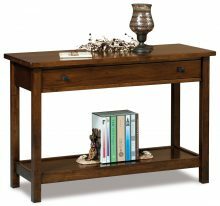 Our inventory includes versatile Mission- and Arts and Crafts-inspired pieces, as well as more traditional tables. 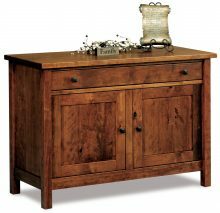 For additional flexibility, we provide you with the option of staining your purchase a darker color or leaving it with a natural finish. 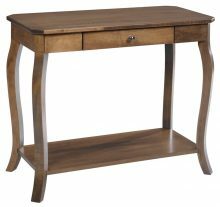 A sofa table should be level with or lower than the top of your sofa’s back. 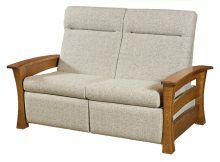 Individual product pages contain standard dimensions to help you make an informed purchase. 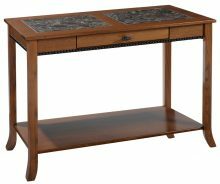 However, we build each of our tables to order and can customize them to your specifications. 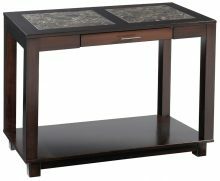 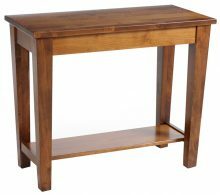 All AmishOutletStore.com products feature premium hardwoods and other quality materials. Our artisans use traditional furniture construction techniques that take longer but result in a higher-quality product. 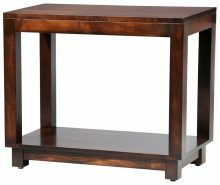 Compare our sofa tables to alternatives from your local big-box store, and you’ll see the difference instantly. 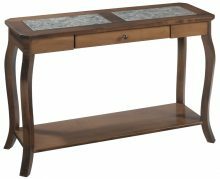 If you’re looking to transform your living room completely, pair our sofa tables with matching bookcases, entertainment centers or even a new sofa. 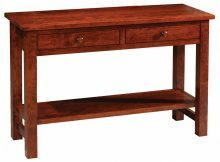 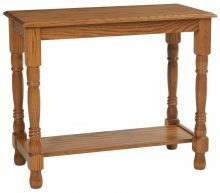 We have one of the largest inventories of handmade Amish furniture online and offer a volume discount program that can save you up to 33% off retail pricing on large orders.